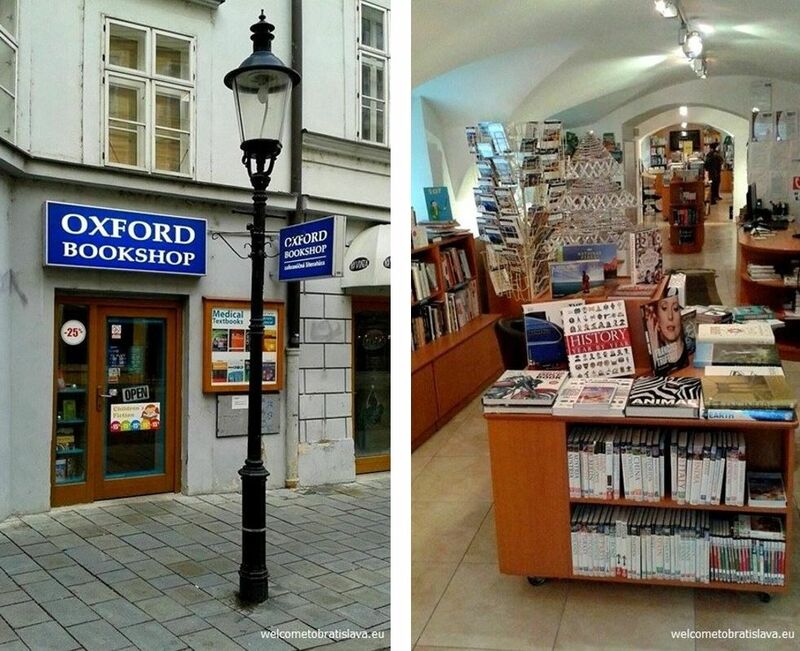 Martinus is one of the most popular online bookshop networks with physical branches in Slovakia. It is also the largest one. Its focus is on books, music and movies. It has gained many various awards for being the best e-shop as well as for its quality. DVDs, audio books, puzzles, games or LEGO can be purchased here, too. Visit their e-shop for online orders (in Slovak only) or stop by at one of their physical branches. They operate together with the Foxford cafe, a place glowing with colors that has a very friendly vibe and you just feel like home there immediately. Click here for the discounts and sales. Panta Rhei is a bookshop which operates online as well as a physical branch. The unique experience is delivered through Cafe Dias with its inspiring environment which is always part of the bookshop. 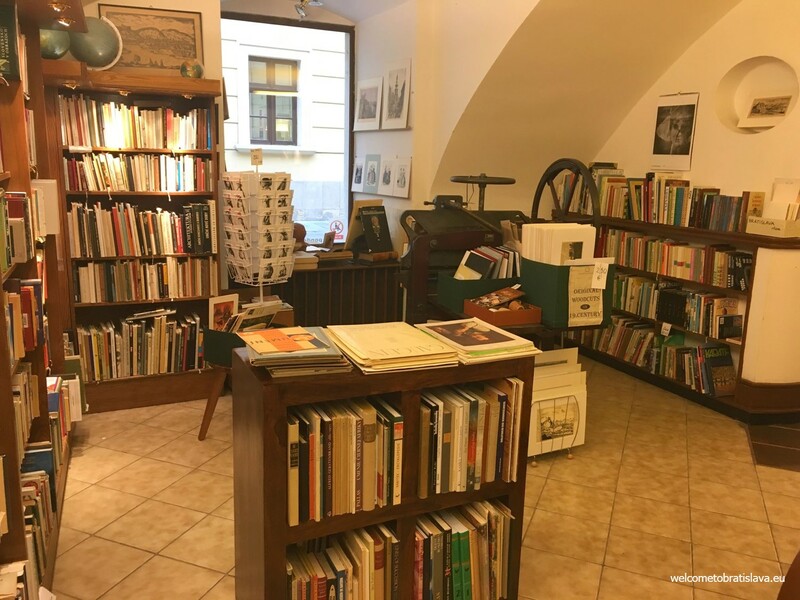 The nice atmosphere and the smell of coffee make Panta Rhei bookshops a place where you will fall in love for books (if you haven’t so far). A wide selection of books in various genres, many languages and for all ages can be found here. In selected stores you will also find interesting products and decorative items for making gifts, beautiful home accessories, reading areas as well as children’s corners. Browse through their e-shop for remote purchasing from the comfort of your home (in Slovak only). 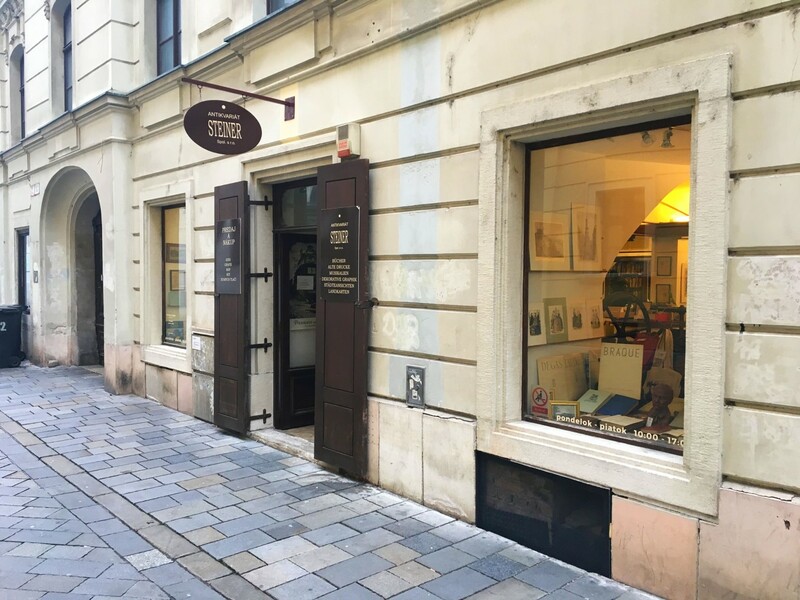 Artforum is one of the first but also one of the last small independent bookstores in Slovakia. For more than 25 years, it has been the home to the best non-commercial books and culture. A place where a number of new books, films, exhibitions and musical projects were created. It has its own publishing house, e-shop and newspapers that can be purchased at their physical branch. You can browse for hours through hundreds of books on any topic imaginable. 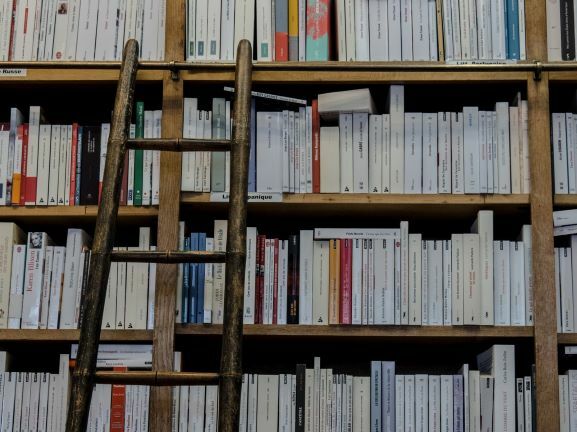 Come to get the translations of older and contemporary fiction, Slovak authors that were not published due to censorship in the years of totality, but also contemporary Slovak prose and poetry. Public readings, debates, concerts and expositions are organized here, too. Visit the Oxford Bookshop which has one of the largest stock of ELT materials, Oxford University Press publications, course books and dictionaries. Even though English books represent the majority of their stock, you will also find books in German, French, Spanish, Italian and Russian. Besides the textbooks you can purchase also various fictional works, classical as well as current titles and authors, art books or titles for children. It is also possible to order any books they don’t have on stock. 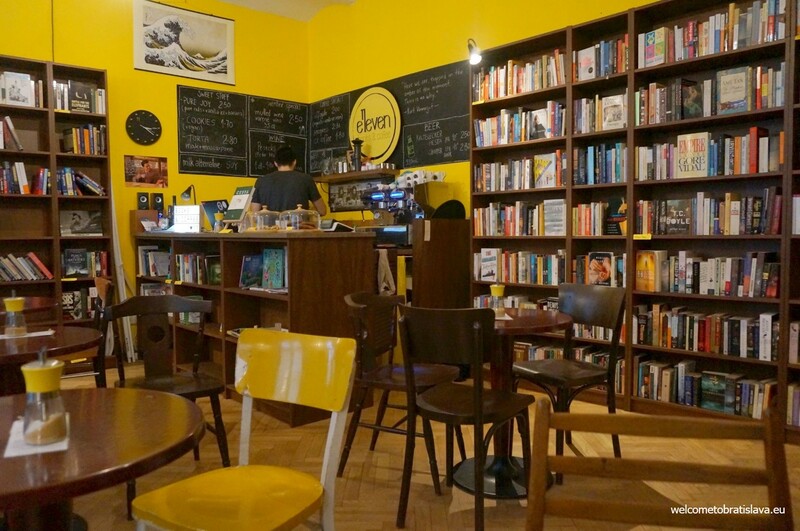 Tucked away in a side street of Bratislava’s downtown, Next Apache is a bookshop for book collectors who love secondhand books and a cozy ambiance to enjoy some reading. Visit this place if you want to avoid crowds and prefer to have some calm and chill time with your friends or just a book :) Established by a Canadian living in Bratislava, Next Apache has a unique atmosphere of artistic and intellectual world not just because of the secondhand books and magazines but also thanks to the old, classy furniture. If you are looking for bestsellers, classics, fiction or fantasy, Shakespeare or Star Trek, they have them all. Books in both Slovak and English. 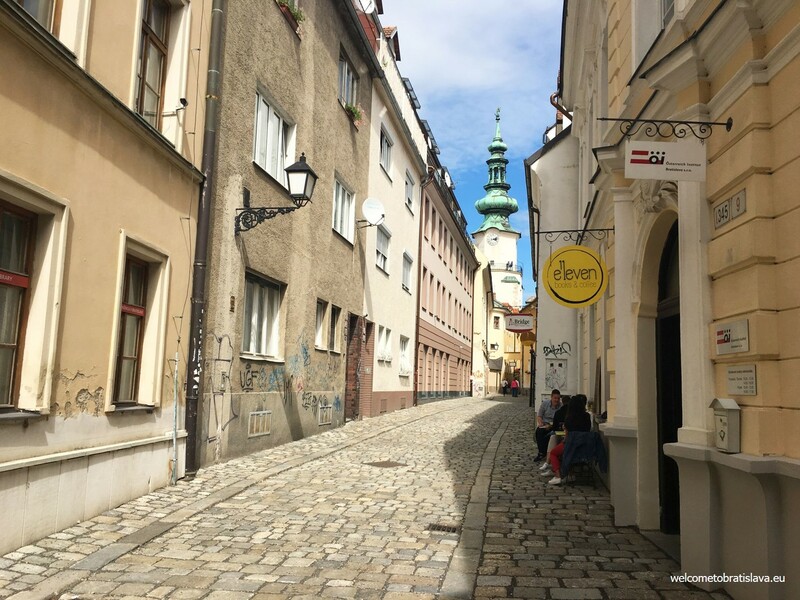 A small secondhand bookstore and a minimalist cafe located on Bratislava’s narrowest street. You’ll find English and German books here. The place with a few tables only is very often full as it’s a great spot to sit with a cup of warm coffee or tea while chilling with a book or magazine. Small snacks are available as well and the personnel is very welcoming. 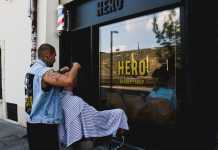 You can browse through their offer in their e-shop but we recommend to pay a visit because it’s really a cosy place where you’ll feel great. 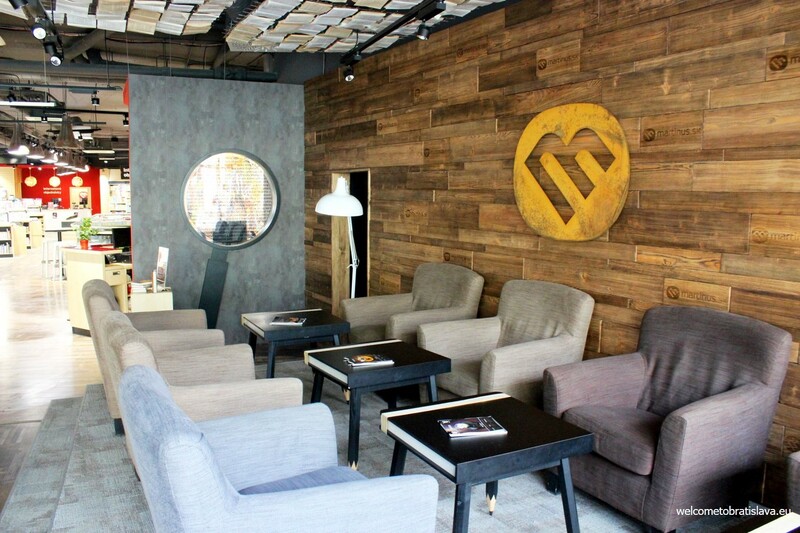 Its comfy atmosphere, combination of modern and vintage look and various options of tasty snacks make this gem a perfect point to hang out. A system of a so-called „book swap“ works here which means that you can borrow any of the book on the shelves and provide some of your older books as an exchange. So in fact you can not purchase books here, Urban House is more of a book exchange spot. This café also has an auditorium and and hosts literary and music events. Each Saturday there is a market in the Old Market Hall from 10 am till 3 pm where you can buy the most various items from food to clothes. Usually there is a corner with secondhand and antique books as well. The entry to the market is free of charge. We recommend to come here if you don’t mind crowds of people. Great to combine the visit with breakfast or lunch as you will find delicious food here, too. CHOOZE DESIGN shop focuses on carefully selected design products and books. 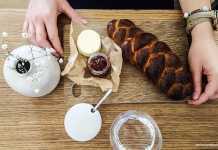 Its owners, two young Czechs, think that pretty things have a magical power to create beautiful moments and bring joy into life – you just need to choose them. Their specialty are children’s books – we love to come here to pick unique books for the little ones of all age groups. The store is tiny and has a lovable atmosphere. Check it by yourself – it is a real gem popular with all the local hip moms:) They operate an e-shop as well. We found this second hand bookstore by chance when passing by. It has no website nor a Facebook page and thus has been not discovered by many people yet. As the place is filled with great books (and quite many in English language) and the owner is super nice and willing to help you with your search, we think it deserves more attention. The books are amazingly organized in the neat piles and nicely divided and marked per genre. Come and see by yourself!